Genomics, Medicine, and Pseudoscience: GMOs versus antibiotic overuse: which is the greater evil? GMOs versus antibiotic overuse: which is the greater evil? People who worry about eating healthy food (and who doesn't?) have recently been very worried about genetically modified organisms, or GMOs. Meanwhile, industrial livestock producers feed enormous quantities of antibiotics to cows, chickens, and bigs, as a way to make them grow faster. Which of these practices poses the greater risk? This one isn't even close. The threat of GMOs pales in comparison to the overuse of antibiotics, which are creating dangerous superbugs that already kill tens of thousands of people each year. The anti-GMO forces have been making a big push recently to add "GMO" labels to foods. This particularly campaign is based on the hard-to-disagree-with notion that more information is always good. People have a right to know what they're eating, right? Well, sure. But how many people out there understand what genetic engineering means? How many understand that virtually all the food we eat is genetically modified - including the most wholesome organic foods? Unless you live out in the wilderness eating wild nuts and berries, you're eating plants and animals that have been genetically modified over the centuries by humans, by selecting which ones to plant and breed. The term GMO is meant to refer to something else: precise genetic engineering, designed to alter just one or two genes. This creates genetic changes that are far less dramatic than the ones that turned ancient maize into today's modern corn, for example. Thus the problem with "GMO" label is that it won't inform people unless they have a solid grounding in molecular genetics. Teosinte is un-modified corn. Not so yummy, is it? GMO opponents claim that GMOs are bad for you. So far at least, there's no scientific evidence for this claim. If GMOs were so bad, people would be dropping like flies every night after dinner. But in the world of infectious disease, a different, far more deadly scenario is unfolding. Drug-resistant bacteria are spreading fast. Scientists have been warning for years that we are blindly marching towards an era when people start to die of previously treatable bacterial infections. Antibiotics, one of the greatest technological advances in the history of civilization, are losing their effectiveness. Last week, the Washington Post reported that "nightmare bacteria" are real and on the rise. In the U.S. alone, over 23,000 people died last year as a result of drug-resistant bacterial infections, according to the CDC. The CDC report implicated the use of antibiotics in animals as one of the primary causes. "There has been an appalling lack of progress. The failure to act by the USDA and FDA, the lack of action or concern by Congress, and continued intransigence of the animal agriculture industry have made all of our problems worse." "Congress has killed every effort to restrict the feeding of farm animals the same antibiotics used in human medicine ... even as antibiotics have grown less effective in treating infection." So listen up, GMO alarmists: you're protesting the wrong thing. 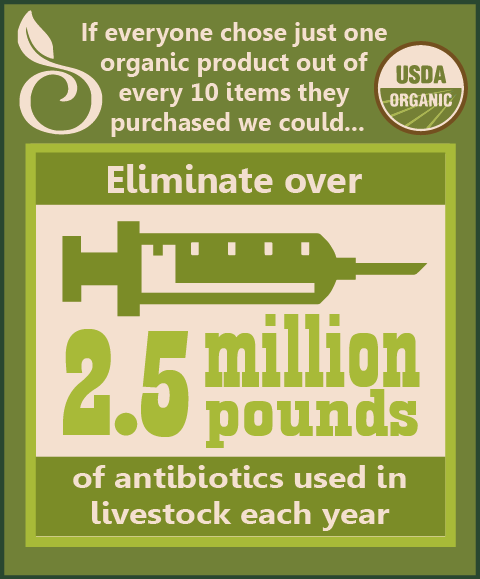 If you really want people to eat healthier food, start raising Cain over the use of antibiotics in livestock. 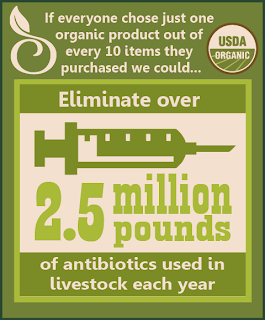 If you want labels on our food, insist on labels showing whether our food animals were raised antibiotic-free. Stop worrying about a hypothetical fear of a few genetic changes in soybeans, and worry instead about the very real rise of superbugs. You're right to worry about how we raise our food - you're just looking in the wrong place. Of course you're right that teosinte-to-corn is a bigger genetic modification than any modern molecular biology based modification, but it is hard to convince people with that argument -- much like how many Creationists want to make a false distinction between micro and macro evolution, many anti-GMO types want to think genetic modification is only what happens in a lab. Why Can't We Find The Best Surgeons?